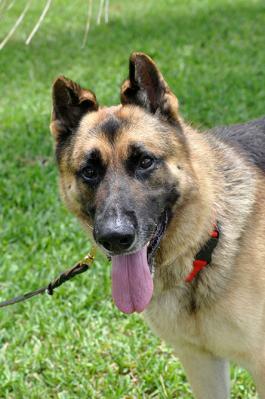 ROCKYMEEDSAHOME - Southwest Florida German Shepherd Rescue Inc.
UPDATE WE HAD A FAMILY WHO ADOPTED HIM BUT THERE WASN'T A FIT. HE WAS A BIT MUCH FOR THEM BUT THEY LOVED HIM AND HE LOVED THEM IT WAS JUST A SITUATION WHERE THEY WERE UNPREPARED FOR A DOG WITH THAT ENERGY LEVEL. WE HAVE UNFORTUNATELY TRANSFERRED ROCKY TO ANOTHER SHELTER IN THE HOPES THEY CAN FIND A HOME FOR HIM AS WE FAILED IN THAT ATTEMPT. ROCKY RACCOON came to us today 6/6/2018. He was dumped by an irresponsible kid who had him for some years and never took him to vet nor kept up on his shots. He claims to have gotten him from another imbecile off Craig's list. It disgusts me to think that these idiots can get dogs and dispose of them like trash. His excuse was he had no time for the dog, he left him outside most of the time, he never cared for him and now that he is moving he just wanted him gone. He also refused to contribute to the animals surrender and left us and dropped him at a shelter. Obviously this makes me sick but now we have him and we will make sure he goes to a quality family. Rocky is about 7 years old. He is a real doggy companion and loves on you from the get go. He is HW POS which we will treat. He is house broken, dog friendly to most dogs who are non reactive, when introduced appropriately, and very people trusting and friendly. He should be in a one dog home. He does have some separation anxiety and really wants to be with his person. He is crate averse and needs a super strong crate if crated. He is absolutely fine in any home. he is respectful of furniture and lived with a family for 2 weeks and never touched one thing when left out of a crate and unattended. 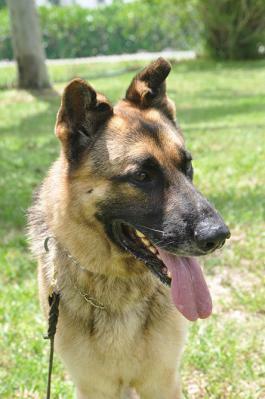 We have seen him in action and we think that training is necessary to stop his anxiety. Rocky has a perfect saddle, great markings and he is about 80 pounds. He is quite calm and extremely strong and seems to really like being exercised. Rocky does have 2 bent ears, but as you can see, they stand up fine. I spent some time with him and he is really sweet. He needs a person who will be with him most of the time and and alpha type who will run off some of his high energy. 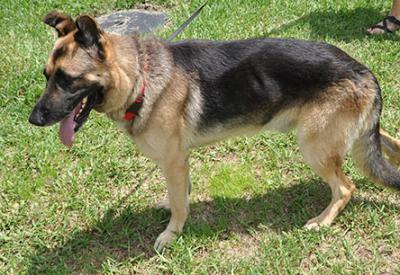 I like this dog and I really want to find a person who has the right home and life style for this great dog. 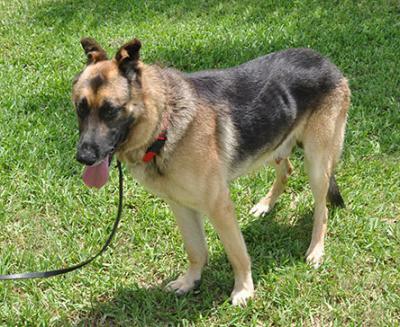 He is currently housed with My Buddies Kennel as we ran out of foster homes. 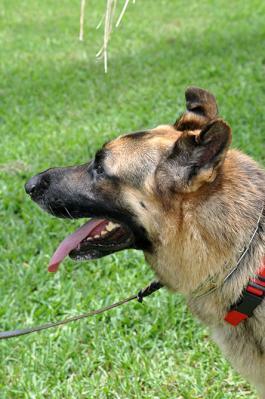 If you wish to foster or foster to adopt him please call us. 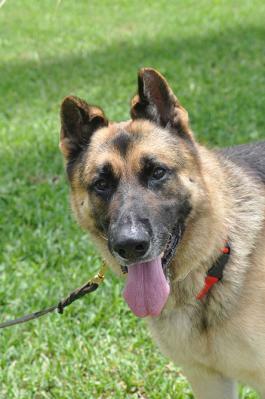 If you are interested in Rocky please come see him asap.